TEKNOKIA.com - One of the traditions in Indonesia, if someone wants to change the name, there are usually make "Tumpeng Rice". Then celebrated with prayer. It is expected with a new name. Hopefully that person be better than ever. A few days ago the popular navigation application Here Maps renamed Here WeGo. The name change along with the update version of the application on Android devices and iOS. 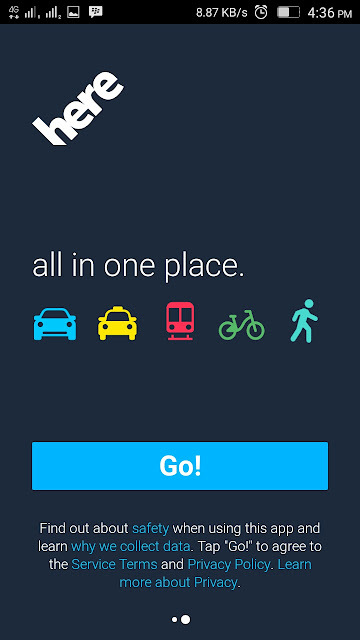 On official page of 360 here, name changes, titled "Goodbye Here Maps, say hello to Here WeGo. They want to make these applications have different names and not only has the standard features of a map of a location similar to that of similar applications in outer there. 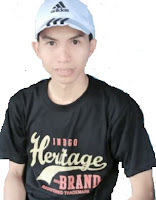 When you open HERE WeGo, the ' Where to? ‘Instruction in the search box invites you to enter a destination. This input, and you're taken straight to choosing between different modes of transport to get to where you want to go – without that extra click on the ' find a route ' icon that used to be at the bottom of the screen. BAM! As quoted from the official page. In addition, commuter transportation route line has added first in the previous version. After I tried the feature of information taxi in Jakarta, Indonesia. As it turns out has not showing anything. Probably the city in Indonesia, especially the city of Jakarta has not been able to get taxi information. Now, Taxi fare information will be available in the following cities/areas at launch: Barcelona, Berlin, Cologne, Frankfurt, Greater San Francisco Bay Area, Hamburg, London, Madrid, Melbourne, Milan, Munich, New York, Paris, Stuttgart and Toronto.